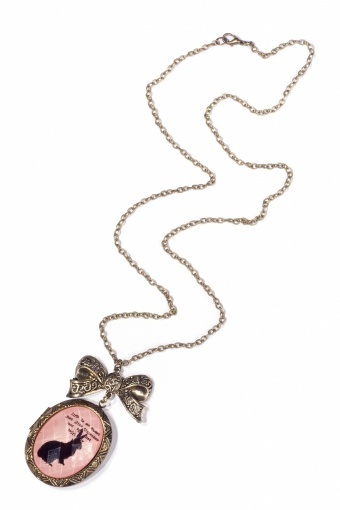 Long Alice in Rabbitland Pink necklace by FROM PARIS WITH LOVE! 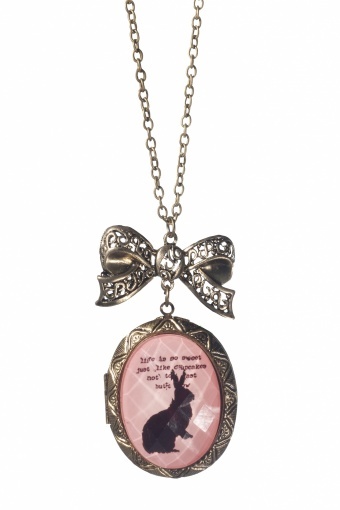 Pink medaillon with sweet little bunny. 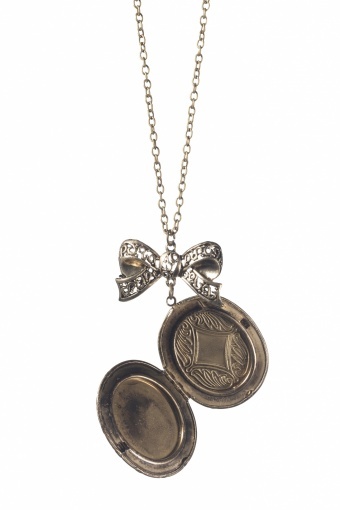 The medaillon can be opened and used to place a photo inside or to hide a little secret, ssst! 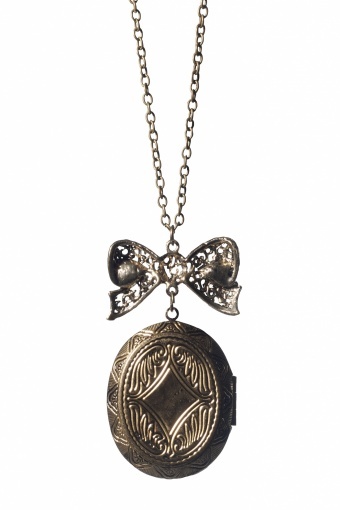 Above the medaillon there is a cute bow in antique look bronze metal (nickelfree). With a lobster closure.